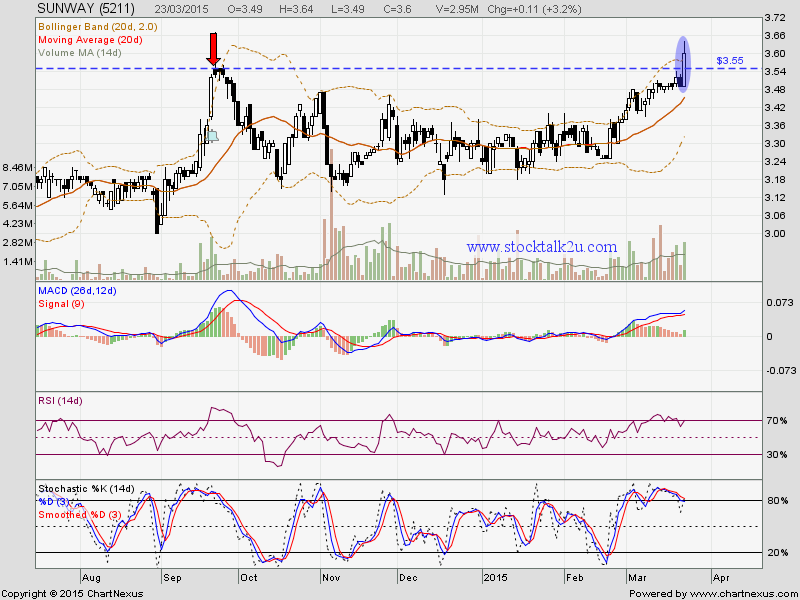 SUNWAY succeed breakout RM3.55 resistance level. Stochastic %K trigger BUY call itinerary. It's historical high, no immediate resistance @ this level. Subsequent support @ RM3.48 level.